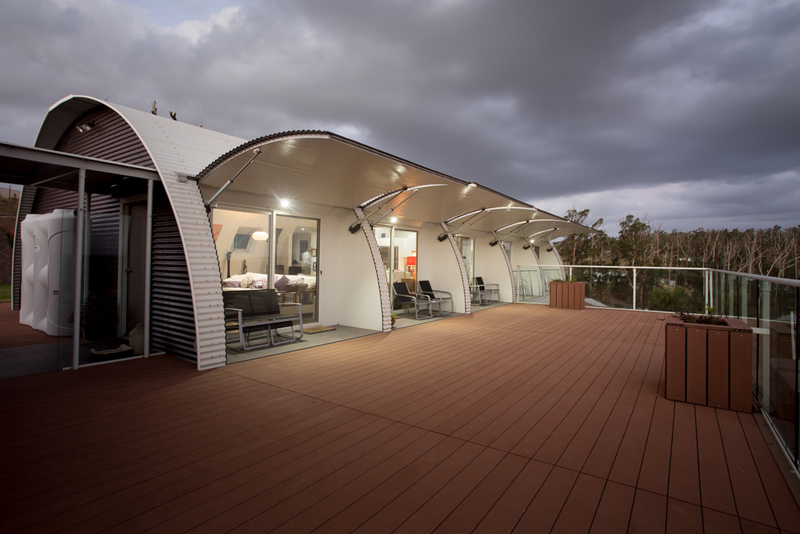 The Convertible Home is an alternative semi-prefabricated modular housing solution. The design incorporates environmentally sustainable design principles, passive design, durability, cost competitiveness, low embodied energy whilst being highly secure, storm & fire resistant . The modular design principle of the home provides flexibility and the construction system is simple to erect, extend and dismantle if required with relatively unskilled labour. The design incorporates curved operable awnings (electrically operable) which provide an effective way of securing the building from intrusion, fire and storms without compromising the liveability. Unique, lightweight and versatile modular portal frame design and connection details. Building materials used have the following characteristics: Inherent durability, potential for recycling, serviceability, embodied energy, aesthetics, ease of transportation and overall cost effectiveness. Main superstructure has been designed using lightweight steel framing. Steel has been selected for its superior strength to weight properties, durability, stability and versatility. Thermal efficency due to ‘Thermal Chimney’ effect which is in reference to the natural flow of air between externally cladding and the internal walls. 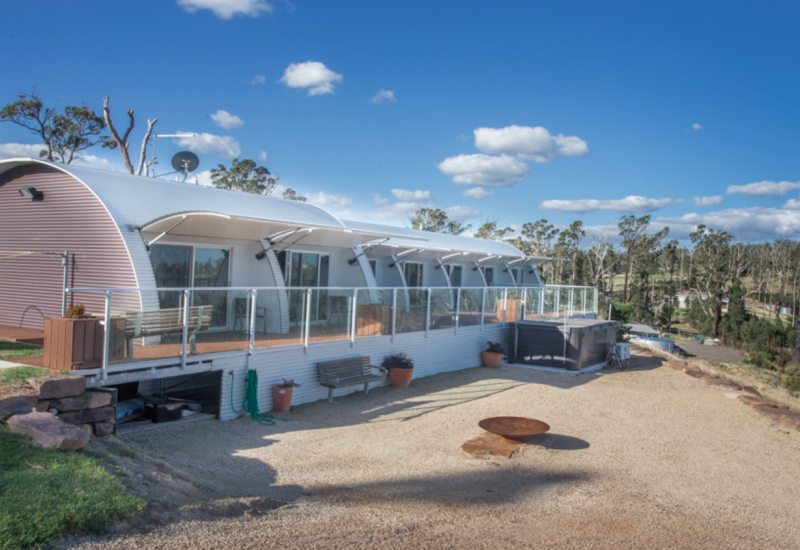 The barrel vault shaped roof area maximises rain catchment. The innovative structure reduces wastage through its modular lightweight construction. The steel framing is prefabricated to standardised lengths and segments for the floor, wall and roof framing. Installing the roof/wall sheeting horizontally has eliminated the additional energy and costs associated with roll forming and makes transportation and fixing of the sheets easier. Designology perfectly combines design innovation and efficient building processes to provide affordable custom solutions. 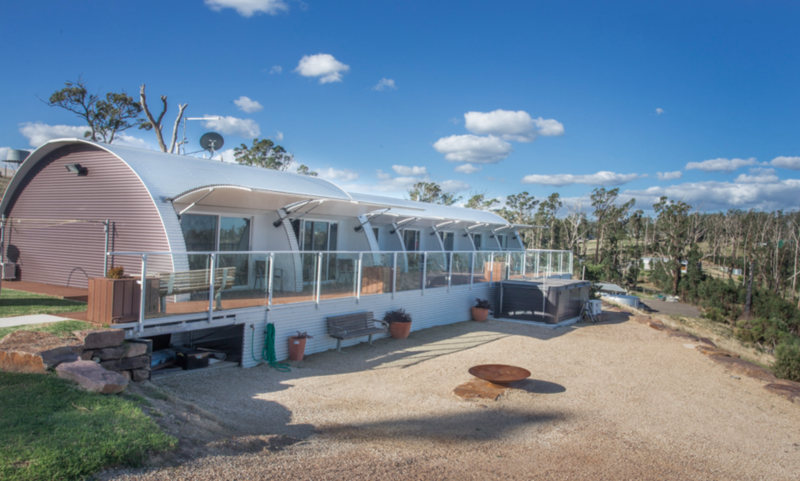 We are the multi-award winning creator of the industry renowned ‘Convertible Homes’. We specialise in diverse yet synergistic structures incorporating sustainable building and design practices and products. That means - we are good at touching the landscape lightly.